The reliability and flexibility of WordPress has made it a popular choice for both Web development and blogs. As a content management system (CMS), WordPress helps businesses, corporations, news outlets and many other organizations keep track of content created by multiple users. A good CMS is always evolving, and WordPress is no exception. The latest release, version 3.6.1, shows a commitment to positive user experience and overall platform security. WordPress provides a variety of useful tools that benefit everyone from the casual blogger to the business executive. However, it is not enough just to offer a stable, user-friendly platform; that platform should also be able to adapt to the changing nature of the Internet environment and the challenges that this changeability brings to users. The web is no longer something that people experience exclusively from their PCs or even their laptops. Devices such as tablets and touch-screen computers are changing the way that users access and create content. Operating systems, browsers and even screen sizes differ from device to device, making it harder to optimize the Internet experience, and therefore the CMS experience, for any particular majority group. A reliable CMS should be flexible enough to allow easy access to content and content creation tools by devices of all kinds. Security is another big concern in content management. Many of those who rely on WordPress use it as a way to allow multiple “authors” to post content. Ensuring that this content is appropriate and well-written is a big enough job by itself without having to worry about the potential for hackers as well. One unaddressed loophole can lead to disaster for both individuals and groups of users, which is why consistent updates to any CMS are essential. By relying on their own data along with that submitted by users, platforms such as WordPress can keep on top of these loopholes and issue fixes to correct them before any damage is done. Fixes a PHP problem that could result in a potential for remote code execution in “limited situations”. Makes it impossible for users with Author status to assign the authorship of a post to another user, preventing unwanted “ moonlighting” and possible malicious behavior. Fixes a problem with insufficient input validation that was causing unintentional redirects. Changes security restrictions on content uploads, such as disallowing .swf and .exe files, to help prevent the inclusion of cross-site scripting code. Smooths out several dashboard, navigation and post creation bugs that were causing processes to freeze or incorrect information to display. Maintaining consistent updates that create a user-friendly, secure experience is a big part of any reliable CMS. The WordPress 3.6.1 update smooths out issues from the 3.6 release and helps to ensure that the quality of the platform remains consistent for everyone from individuals to big-name companies. What do you think about WordPress, especially the 3.6.1 update? Which CMS platform do you use? and Why? Please share your opinion in the comments section. Your opinion matters, unless it is a Spam. James Patterson is the lead online marketing consultant at jdpseo Online Marketing. A full service New Zealand based Online Marketing Agency that offers everything you need to succeed online. From web design and development to a complete bespoke online marketing package. Come and check us out on Facebook. 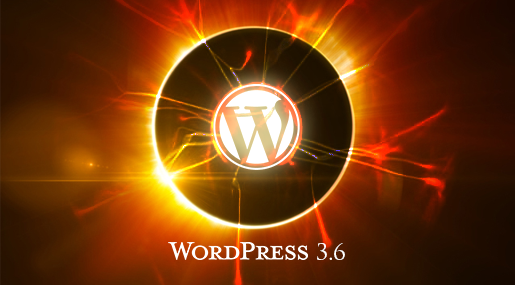 I want to inform you that WordPress latest Version 3.8 has been just launched. This version is really user friendly and great looking. So enjoy it. 56 queries in 0.304 seconds.